Though the two words may seem similar in everyday usage, aggravated and aggravating have very different meanings under Florida criminal laws. 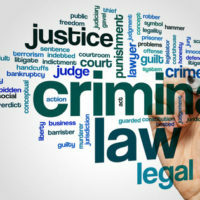 There is a lot of confusion over aggravated crimes and aggravating circumstances, and for good reason: These concepts are extremely complex if you do not have a legal background. You can rely on a knowledgeable Florida criminal defense lawyer to provide specific information, but some answer to common questions about these terms may be helpful. Charges for aggravated robbery may apply if you use a deadly weapon while committing the crime or you inflict severe bodily harm on a victim, even without a weapon. What qualifies as a deadly weapon? The definition is quite broad, so a deadly weapon could be a device other than a firearm or knife. In Florida, defendants have been convicted for aggravated crimes for hitting someone over the head with a beer bottle, driving a car at a victim, making menacing gestures with a baseball bat, and similar weapons. When a prosecutor adds aggravating circumstances to the allegations against you, the penalties will also be more severe. Your imprisonment time could be longer, your fine could increase, and/or your probation may come with stricter terms. The victim incited the crime or was otherwise blameworthy in motivating your conduct. You probably have many other questions if you were arrested for an aggravated crime or aggravating circumstances apply in your case. To learn more about how to fight the charges, please contact Fort Lauderdale criminal defense attorney Kevin J. Kulik. Our legal team can schedule a confidential consultation to review your case.